Volunteer with SMART and help children discover the joy of reading! Make a huge impact with students in our programs in various schools in East Multnomah County (schools in zipcodes: 97236, 97230, 97233, 97024, 97030, 97236). 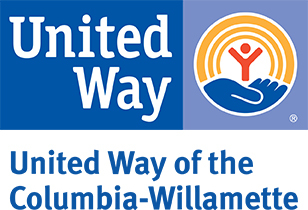 High-need schools include: Gilbert Heights Elementary, Highland Elementary, Margaret Scott Elementary, and Mt Hood Community College Head Start at Gresham United Methodist. SMART Readers spend one hour each week during the school year reading one-on-one with PreK through third-grade children, modeling and fostering a joy of reading while supporting the child’s efforts to read independently. Just one hour a week makes a tremendous difference in the lives of the children we serve. Volunteer to read for one hour per week from now through mid-May! Applications accepted year-round. To learn more about SMART and how to get involved, click express interest below. You can also contact us via phone (971-634-1628) or via email (metro@getsmartoregon.org). Join us and Start Making A Reader Today! SMART is a book and reading program that builds literacy skills in PreK-third grade students by pairing them with community volunteers for one-on-one reading time and providing books for the students to keep. The SMART Site Coordinator is essential to ensuring that a SMART program is able to open at a school. Volunteers must be 16 years of age or older to participate in this opportunity.